Pets are so much a part of our lives and everyone loves their special companion. For those who love pets and rustic style. 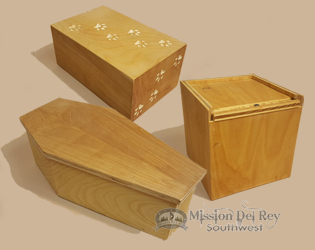 We offer these minimalist handmade pet cremation urns. Large enough to preserve the ashes of a beloved pet, these urns are made in America using real wood and craftsmanship. Created by a local artisan of the southwest, these urns are a perfect tribute to your pet and reflect a love for rustic southwest and western home decor.